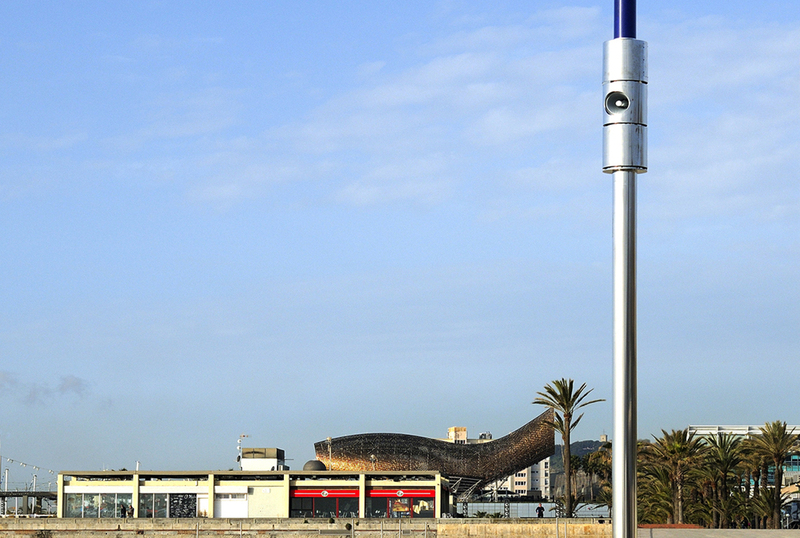 AirVoice the public address system is installed successfully on the beach Nova Icaria Barcelona. In collaboration with the Metropolitan Area of ​​Barcelona (AMB ) it has developed a new family element incorporating an advanced functionality in a whole new concept of street furniture. In addition to the features peculiar to AirVoice information public , progress has been made towards the concept of Smart City also including WiFi connectivity and sensors. The system is fully IP and integrates with municipal management systems and WBA , putting all of its functions available to all players in the city.